Scroll down to listen to the full People, Hell and Angels tracklist! What’s up everybody? I know I’ve been sleeping on this post and that the album was released in March, but I’ve been giving myself time to really listen to the album and form some solid opinions on it. 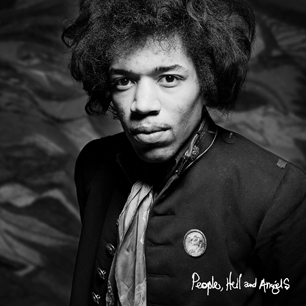 People, Hell and Angels is the latest Jimi Hendrix release and was put out March 5, 2013. Working at FYE for several months I was lucky enough to hear some of the songs through a sampler our store got before the album was actually released. 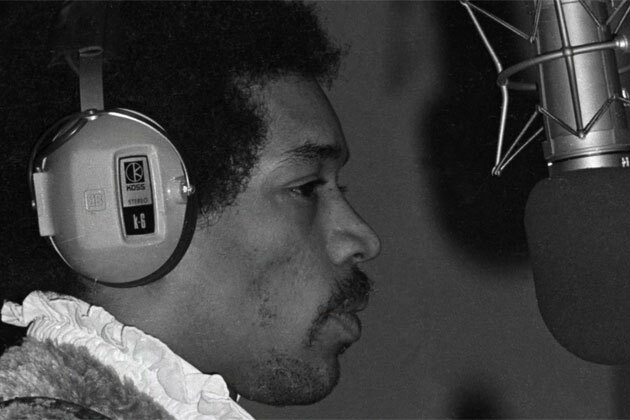 As I mentioned in my previous post when the songs were found, Hendrix was experimenting with several new things when working on this album, including some very interesting percussion and horn uses. Though much of the album wasn’t completely new and most of it was just remastered or slightly altered renditions of old classics, such as “Izabella” there were certainly some notable tracks on the record. My personal favorite would have to be “Let Me Move You”. The use of horns in this track is down right funky and sure to make you at least want to dance. Though I don’t really feel how high pitched the horn is pushed to in the beginning of the song, I still love it and can’t stop listening to it. In the playlist I’ve made below, make sure you check out that song. Unfortunately Jimi doesn’t really sing in this track but rather just lays down the awesome guitar track. All the other songs on the album are pretty much just remasters of older versions. Below are the individual track reviews off of People, Hell & Angels (links to CD and reviews on Amazon) written by the guys n gals over at Amazon.com. I just wanted to share this here because they do an excellent job sharing some of the history behind each of the tracks. I did not write these nor do I claim any credit for them. I just like what they had to say and thought you guys might, as well. Earth Blues: Totally unlike the version first issued as part of Rainbow Bridge in 1971, this December 19, 1969 master take features just Hendrix, Cox and Miles—stripped down funk at its very origin. Hear My Train A Comin’: This superb recording was drawn from Jimi’s first ever recording session with Billy Cox & Buddy Miles—the rhythm section with whom he would later record the groundbreaking album Band Of Gypsys. Bleeding Heart: This Elmore James masterwork had long been a favorite of Jimi’s. Recorded at the same May 1969 session as “Hear My Train A Coming,” Jimi had a firm understanding of the arrangement and tempo he desired. Before they began, Jimi instructed Cox and Miles that he wanted to establish a totally different beat than the standard arrangement. He then kicked off this amazing rendition unlike any other he had ever attempted. Let Me Move You: In March 1969, Jimi reached back to another old friend, saxophonist Lonnie Youngblood. Before he was discovered by Chas Chandler in the summer of 1966, Jimi had contributed guitar for Youngblood and such infectious rhythm and blues styled singles such as “Soul Food”. Izabella: In the aftermath of the Woodstock festival, Jimi gathered his new ensemble, Gypsy Sun & Rainbows at the Hit Factory in August 1969 with engineer Eddie Kramer. “Izabella” had been one of the new songs the guitarist introduced at the Woodstock festival and Jimi was eager to perfect a studio version. This new version is markedly different from the Band Of Gypsys 45 rpm single master issued by Reprise Records in 1970 and features Larry Lee, Jimi’s old friend on rhythm guitar. Inside Out: Jimi was fascinated by the rhythm pattern which would ultimately take form as “Ezy Ryder”. Joined here by Mitch Mitchell, Jimi recorded all of the bass and guitar parts for this fascinating song–including a dramatic lead guitar part amplified through a Leslie organ speaker. Hey Gypsy Boy: The roots of Jimi’s majestic “Hey Baby (New Rising Sun)” trace themselves to this March 1969 recording. Unlike the posthumously overdubbed version briefly issued as part ofMidnight Lightning in 1975, this is original recording that features Jimi joined by Buddy Miles. Villanova Junction Blues: Long before his famous performance of this song at Woodstock, Jimi recorded this studio version with Billy Cox and Buddy Miles at the same May 1969 session which yielded “Hear My Train A Comin’” and “Bleeding Heart” also featured on this album. 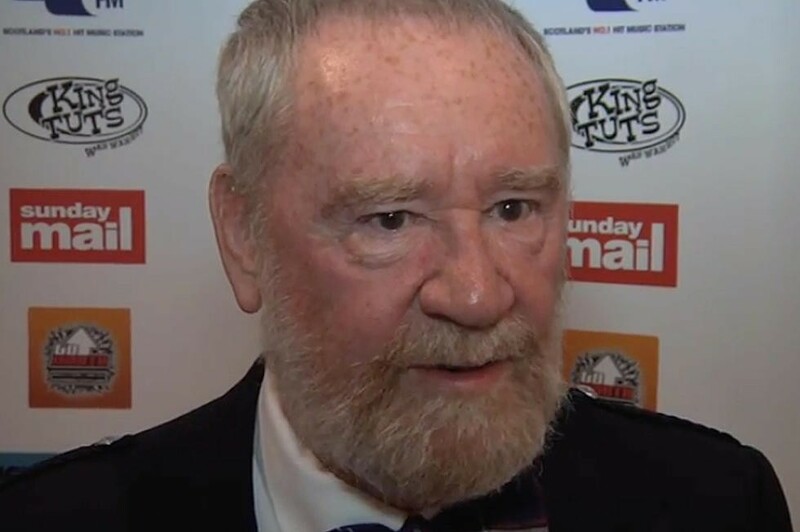 Never fully finished, the song stands as an example of the fertile ideas he hoped to harness. What are your thoughts on the album? Do you think it’s as awesome as I do, or just another piece of recycled garbage? I’d love to hear your thoughts and criticisms on People, Hell and Angels so please feel free to leave a comment in the box below. Until next time..